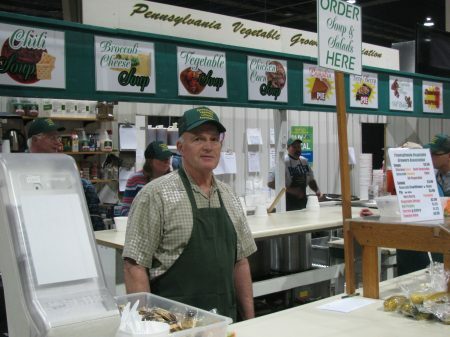 The 2019 PVGA Farm Show Food Booth set a new sales record of $222,500, topping the previous sales record of $212,600 set in 2016. There were several changes made in the booth operations designed to increase efficiency and increase profit. The prices of the batter-dipped vegetables, Strawberry Surprises and raspberry lemonade were raised $1 and the price of the soup was raised $0.50. Thus, the volume of sales was actually down but the profit set a new record of about $68,000. In addition, instead of grinding ice to make the Strawberry Surprises, an additional slush machine was purchased and a milkshake machine was rented to allow the Surprises to be frozen by the machines. The purchase of the additional slush machine also allowed the Strawberry Surprises and raspberry lemonade to be served where the batter-dipped vegetables and blooming onions are sold in hopes of increasing sales. While the sales did increase over last year, sales of the Strawberry Surprises have been decreasing in recent years compared to some years in the past. The other major change was that all the cashiers were equipped with electronic tablets to enable counts of individual items to be tracked better and also allow the acceptance of credit cards for payment. This was not without its challenges, but it did provide some interesting and useful information. 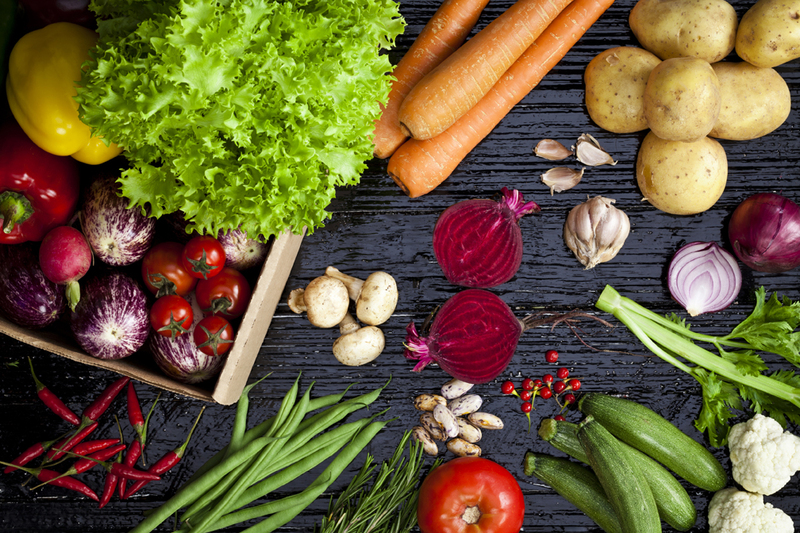 Batter-dipped vegetables are the biggest seller, with about 9,850 servings sold. Strawberry Surprises were second with over 6,560 being sold. Blooming onions were third with over 5,510 prepared. About 3,650 funnel cakes were served along with over 2,410 trays of fried pickles. Raspberry lemonade was next with 2,330 glasses followed by 2,100 bowls of chicken corn soup, 1,360 trays of corn fritters, and 1,190 servings of broccoli cauliflower salad. The PVGA original menu item, vegetable soup, was enjoyed by 920 customers while 700 pickles, 670 bowls of broccoli cheddar soup, 440 bowls of chili, 360 vegetable wraps, 220 slices of berry pie, 200 garden salads, 130 slices of pumpkin pie and 100 servings of bean salad were sold. PVGA again helped operate a satellite booth in the Main Hall (the original Farm Show Building) which was a joint effort between PVGA, the Dairymen’s Association, Penn Ag Industries and FFA. PVGA offered a limited menu of funnel cakes, batter-dipped vegetables, and chicken corn soup. PVGA sales at the satellite booth were only modest. The Association continues to contract with Michael’s Concessions, owned by Karen and Brenda Michaels and Andrew Roberts, to prepare the various fried menu items. PVGA volunteers serve these items as well as prepare and serve the soup, salad and beverage items. The profitability of the booth depends solely on the donated time and effort from over 200 PVGA members and friends. Jackie and Nancy Grace again volunteered for the entire week to oversee the soup, salad and vegetable wrap preparation. We missed the presence of their father, Jack Grace, who has volunteered for the entire week for over 20 years but was unable to do so this year because of his health. PVGA officers Brian Campbell, Dave Miller, and Bill Reynolds each managed the booth for several days while Jon Strite was instrumental in setting up the electronic tablets. Boots Hetherington, who usually oversees the preparation of the Strawberry Surprises and raspberry lemonade for the week, was only available to help three days. The produce for the batter-dipped vegetables and blooming onions was supplied by Kegel’s Produce, which also provides the use of a refrigerated/heated truck to store the produce and other food items. Again, our sincere thanks to all PVGA members who came to Harrisburg to help make the food booth successful in raising money for vegetable and berry research at Penn State. This year’s booth again featured a large flat screen television where pictures from PVGA members’ farms were shown. Nancy Grace put together the slide show from pictures submitted by members. The Honor Roll of this year’s volunteers is listed on pages 15 and 16 to recognize those who made the effort to come to Harrisburg to help out. If you didn’t help this year, please volunteer to help next year. The more new volunteers we have, the less time we need to ask of our veteran volunteers. The Farm Show Food Booth make it possible for the Association to support research and promotion activities. Following is the list of farms and individuals who volunteered time to staff the Farm Show Food Booth this year. We apologize for any names that might be omitted. Asterisks (*) indicate the number of days persons helped (if more than one).